When you go out, you don’t need to be treated like royalty. Being treated like any old member of the ruling elite is fine. So you’ll probably like this place: Parliament, an opulent house of champagne-sipping lords and ladies, slated to open next Friday in River North. Get ready. This is one of those places. A big-night-out place. With girls dancing on banquettes and people ordering 21 bottles of champagne. We assume you’re familiar. 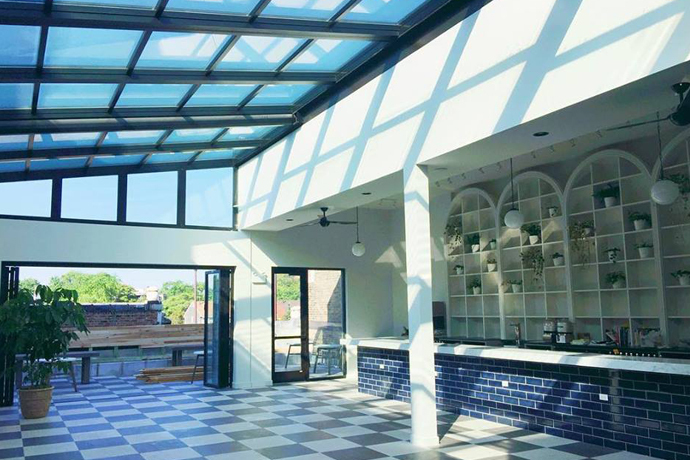 If you come early, go through the alley and take a glass-walled elevator up two levels to the rooftop deck called (naturally) the Kensington. Relax. Have a martini. Watch the sunset. Think nice thoughts. When it’s dark, take the elevator back down to the first floor. To the left: a private VIP lounge named the House of Lords, a huge champagne chiller and a thumping baseline. Straight ahead: the main room with giant corner booths, a central seating area (for extroverts) and a crystal chandelier. At this point: consider ordering The 21 Champagne Salute, which is where 21 bottles of champagne are delivered to your table while LED lights go crazy and two giant screens play a video of swirling images.